Stainless Steel Egg Or Pancake Molds Set Of 2 Just $8.12! PLUS FREE Shipping! You are here: Home / Great Deals / Stainless Steel Egg Or Pancake Molds Set Of 2 Just $8.12! PLUS FREE Shipping! How fun are these? 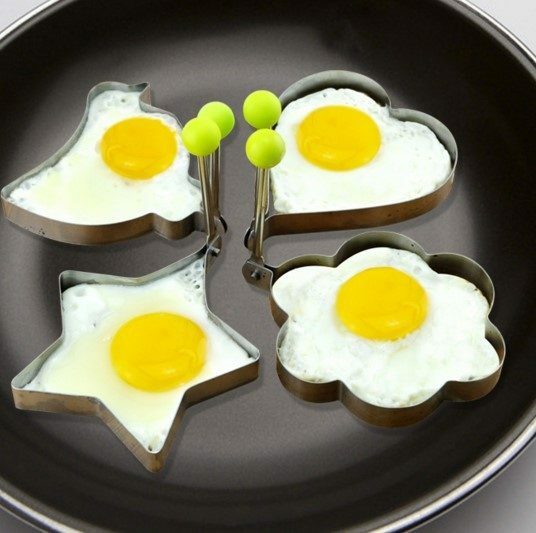 You can brighten up your family’s morning with these cute Stainless Steel Egg or Pancake Molds for just $8.12! PLUS FREE Shipping! Who wouldn’t love to wake up to a special treat like this for breakfast? These come in sets of 2.